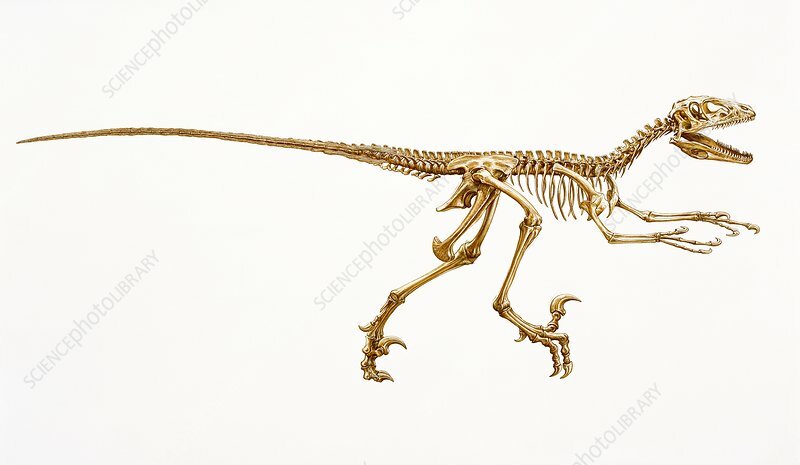 Deinonychus dinosaur skeleton. Computer illustration of the skeleton of a Deinonychus sp. dinosaur. This carnivorous feathered theropod dinosaur lived around 130 million years ago, during the Early Cretaceous Period, in what is now Spain. It reached up to around 6 metres in length.